Happy news for indians! Now you can translate any language to your own language. 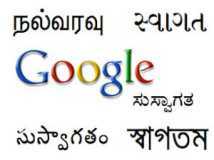 Google translator now supports five new indian languages(Bengali, Gujarati, Kannada, Tamil and Telugu, In india and bangladesh about 500 millions speak there languages. )Now you can translate any webpage to your own languages friends.